Cindy has been making music for as long as she can remember. She was the assistant director of a synagogue children's choir by age 14 and has directed and sung with many community choirs and pickup groups since then. 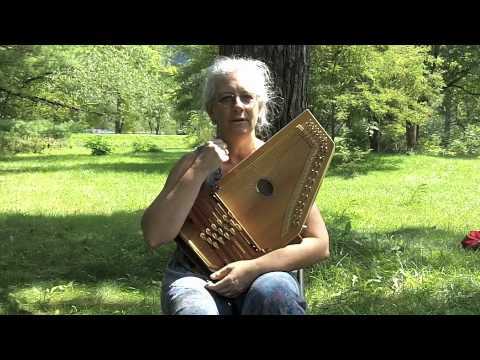 But it wasn't until 1996 that she discovered the autoharp and began teaching and performing in earnest. 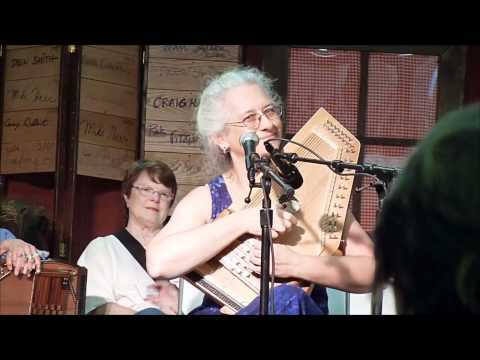 Now one of the best recognized autoharp workshop leaders in the US, she has taught and performed at festivals and private concerts from Pennsylvania to California, as well as Tasmania, Australia, England, aboard cruise ships, and an upcoming visit to Sweden. She also shares her knowledge of old-time West Virginia fiddle techniques and repertoire, and is known locally as a sympathetic and effective voice teacher for those who think they cannot sing. In addition to her teaching activities, Cindy founded and directs the Pittsburgh Threshold Choir, a group of women who sing at the bedsides of people who are very ill or dying. Teach private students in one-on-one lessons. Part 1 of "Gravity Drives the Music", a four part introduction to basic autoharp technique. Cindy on stage with Lindsay Haisley during the finale of the Illawarra Folk Festival, Australia, January 2012. Cindy is a knowledgeable and nurturing teacher. Her musicianship and generosity of spirit are exactly what a student needs. As a music teacher myself, I wholeheartedly recommend her to you. I had the opportunity to learn from her the techniques she uses to teach pitch matching to singers and observe her successfullyl using it with a brand new student. She has a gift for pinpointing what is happening and then clearly explaining how to improve, all while building self-confidence. A teacher like her that can help others gain skills, and find joy in music, is a true gem! I am one of those people that has been told all my life that I can't sing. I believed everyone and always thought there was no hope for me. Then I met Cindy. She converted me. I am now a believer. She was able to teach me to match a tone but to believe in myself. Now, I believe that I can learn to match a tone and eventually produce music. Thank you Cindy for that belief in myself and for the knowledge I needed to be able to produce music! Cindy is one of those incredible people that knows how to read people and find a process that works for each.